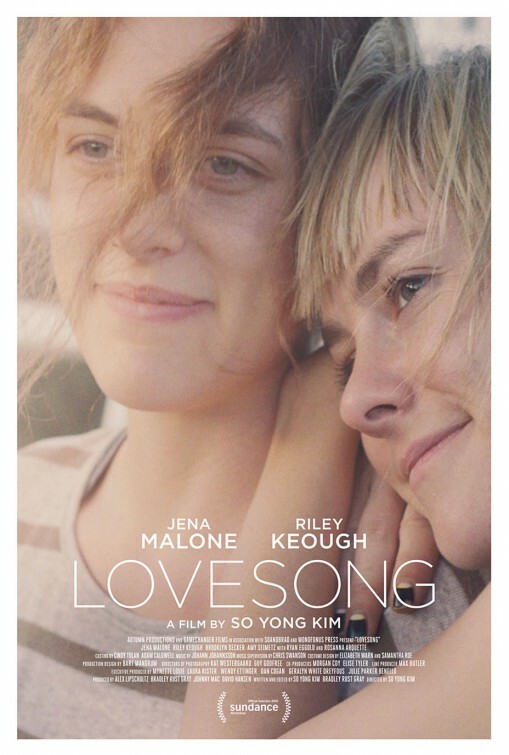 If you like subtle, well-acted character studies of complex and believable female characters, then LOVESONG may well be for you. The film is about the friendship between Sarah (Riley Keough), a married mom with a young daughter and a frequently absent workaholic husband, and Mindy (Jena Malone), a more free spirited woman who is her best friend. With Sarah's daughter in tow, the two embark on a road trip. Along the way they hash out Sarah's issues with her husband, attend a rodeo and a carnival, and perhaps get a little closer than just friends. Maybe a little too close. Seemingly out of the blue, Mindy buys a ticket back home. It's 3 years before the women reconnect, for Mindy's wedding. Not surprisingly, it's a bit awkward. So why did Mindy so strongly feel the need to run away from whatever things might have become, why on the eve of her marriage has she brought Sarah back into her life, and will that spark be rekindled? Those questions do get answered, more or less. Just not in the sort of dramatic way one is accustomed to in movies. Director So Yong Kim, who co-wrote LOVESONG with Bradley Rust Gray, has made a touching, finely crafted film that is more concerned with capturing a feeling and a certain reality than it is with delivering the usual sort of romantic drama. It succeeds at what it sets out to do, in no small part due to the exemplary performances of its two leads. Sure the film meanders about and avoids facing any of its issues head-on, but that's a reflection of its characters, and anything else would be dishonest. The film eventually reaches something of a climax, but like the rest of it, it's kind of messy and uncertain and a little unsatisfying. Which, in a strange way, kind of is satisfying. 3 out of 4 stars.